The NITI Aayog CEO pushed for greater intra-region tourism to boost growth and even encouraged Indians to travel to Pakistan, and vice versa. 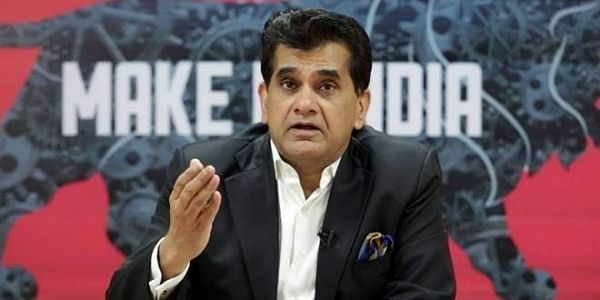 NEW DELHI: Pushing for greater integration in the Saarc region, NITI Aayog CEO Amitabh Kant on Monday said the South Asian region will remain backward until it pushes for greater trade, greater investments and more tourism within the region. He said the South-Asian region was the least integrated region in the world with virtually no intra-regional trade. Kant said that on one hand, over 97 per cent of tourists come to India via air from other countries, most Indian tourists also travel to the Southeast Asian region. "Why should Indian tourists go to Malaysia, Singapore and Thailand? Why shouldn't they travel to Bhutan, Afghanistan or Pakistan? We should travel to each other's countries. We have made things so difficult politically that we are not able to benefit from all this (intra-region tourism)," he said at the SAARC Development Fund (SDF) Partnership Conclave here. "If you look around the world, most of the trade, investment and tourism is intra-regional in character. Therefore most of growth has taken place in those regions, and poverty eliminated, because of intra-regional work. If you look at America or Europe, it's all intra-regional," he added. Kant said there was virtually no intra-regional trade in the Saarc region. "In terms of tourism, 97.2 per cent of tourists come to India via air from abroad. So there is no intra-regional travel and tourism. And therefore the multiplier impact of trade, or tourism, or investments has not benefited the country. And that's why South Asia remains the region with maximum poverty," he said. "South Asia as a region has been severely hampered and it will remain backward till we don't integrate the region and till we don't push for greater trade, greater investments, and greater travel and tourism within the region," he added. Kant said that growth in India and its neighbouring countries will not come from other regions like America or Europe, but it will be the political will, determination and bonding together of the Saarc countries which will enable growth and eliminate poverty. "That's how it has happened in other parts of the world. But unfortunately, it hasn't happened here," he said. The NITI Aayog CEO also pushed for more employment opportunities for women saying that they contribute only 25 per cent to GDP in the Saarc region compared to 48 per cent contribution to the GDP in the rest of the world. He said the region cannot grow until this changes and a conscious policy was needed to promote employment for women and to empower them.